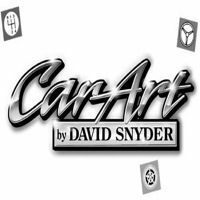 Automotive artist David Snyder tells his story. 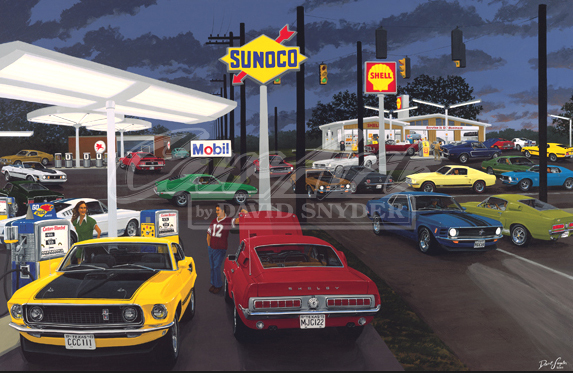 From early influences through today's work, Snyder tells the reader what has made him one of the top selling automotive artists. 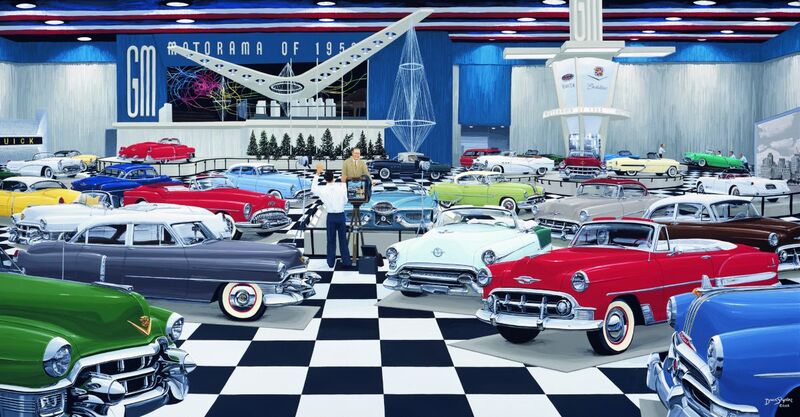 "The Automotive Art of David Snyder" is a hardcover, 1st edition, 106 page full color book. 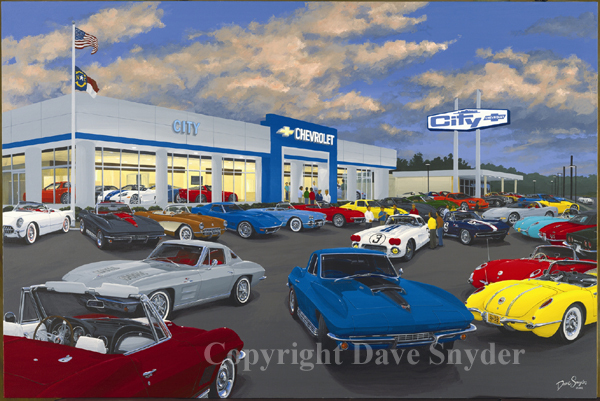 Each of Dave's self published paintings is brilliantly reproduced on heavy stock in full page spreads. Dave tells us about his creative process, painting technique and the extensive research it takes to create these paintings. 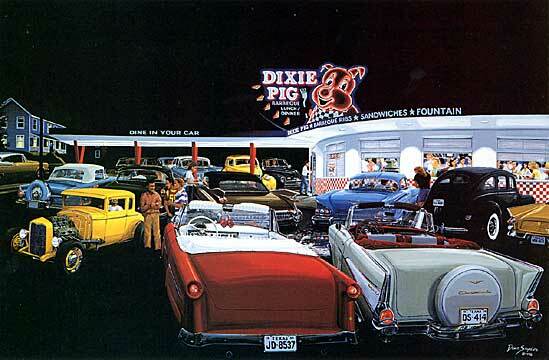 The book includes a forward by Dennis Gage and a chronological index of each painting. 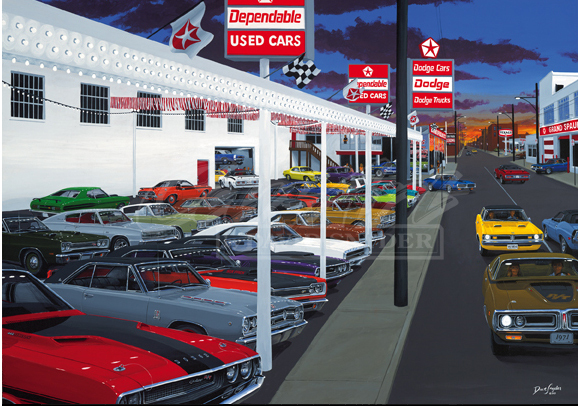 The book documents the auspicious artistic career of Dave Snyder; showcasing Dave's early work through to the historical portrayal of what was probably the most iconic time in U.S. automotive history. 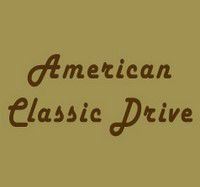 Dave's attention to detail garnered the attention of automotive writers and historians early in his career. His paintings have been the subject of many articles and have graced the covers of magazines. 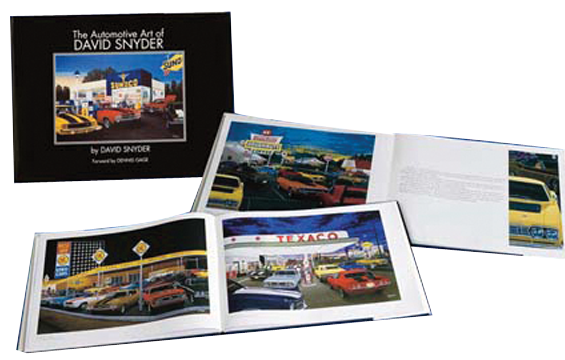 This large format book documents the last 14 years of Dave Snyder's painting. 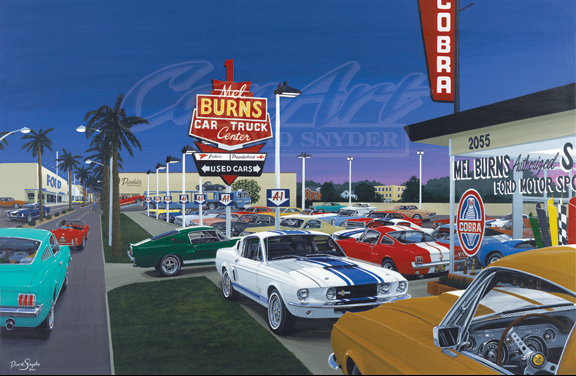 "The Automotive Art of David Snyder"is a great addition to anyone who collects Snyder's work. His work is collected world wide. Each full color book measures 12" x 9" and is signed and numbered. The hardcover book is beautifully printed on heavy stock. The book is proudly published in the United States of America. 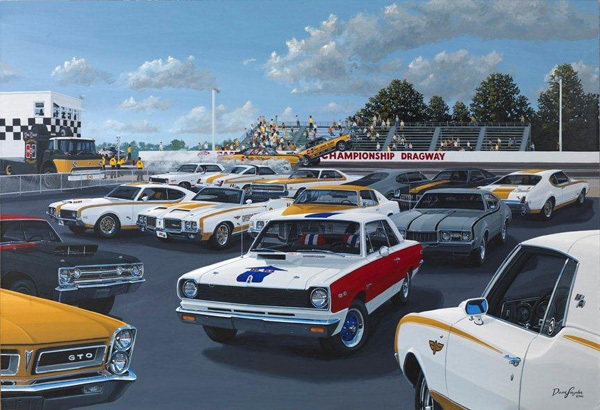 The Automotive Art, by David Snyder. Credit Photos : Copyright @ 2013 David Snyder.